The best place to flip homes isn’t necessarily a city with the best profit potential, but rather anywhere you are able to make a profit that is worthwhile. The top three markets to flip homes in 2018 were in South Dakota, Indiana and Texas. The best markets to flip houses typically suggest profit margins that are well worth the cost of admission. It’s a new year, and many investors are rolling up their sleeves in an attempt to determine 2019’s house flipping trends. One of the best ways to do this is to review the trends from years past in order to predict where the housing market will take us next. Last year, U.S. house flippers earned an average gross profit of over $65,000 per property, according to Attom Data Solutions. However, profitability can vary greatly by location, which can be tricky, as the top markets change from year to year. The following offers a review of which cities have been deemed most desirable for flipping houses over the past few years. Can you predict the top 2019 markets? El Paso, Texas tops the list of 2018’s best places to flip houses, namely due to its notable market potential. According to U.S. News, a Texan locale scores a 7.2 out of 10 for quality of life, and was ranked as the fifth best place to retire in the nation. Over seventy Fortune 500 companies are based in the area, which is also considered the fourth largest manufacturing hub in the U.S. according to Zillow. The median home value was $123,400, which had a year-over-year increase of 3.6 percent. These statistics, coupled with low renovation and remodeling costs in the area, offered a strong return-on-investment potential for investors. Nicknamed the “Best Little City in America,” Sioux Falls has attracted a spotlight for its low cost of home remodeling and relatively low median home value ($183,500.) Due to the city’s lack of a state corporate income tax, Sioux Falls serves as home to many notable financial companies and also features a robust regional healthcare industry. A great quality of life, as well as an impressive 8.8 percent increase in home values in just one year, made this location one full of promise. Fort Wayne is located in northeastern Indiana about 18 miles from the Ohio border. Investors should make note of the city’s property value increase, which was forecasted to increase by 10.6 in 2018. With the lowest average bathroom remodeling costs in the nation, Fort Wayne positions itself as a strong candidate for house flipping. Named one of the top 100 places to live by Money Magazine, Peoria is known for its resort-like and leisure lifestyle. Located just outside the Phoenix metro area, Peoria also serves as home to the San Diego Padres and the Seattle Mariners during spring training. This Arizona city is featured as one of the cheapest places to renovate and remodel property in the nation, with median home values that have increased steadily over the past 6 years. Oklahoma City is known as a regional economic center with a diverse range of sectors like information technology, health services and administration. For example, Dell, Hertz, Cox Communications and Boeing are all household names that call OKC home. Median home prices in the area were just $125,900, with a steady growth rate of 1.7 percent. Due to very reasonable home renovation and remodeling costs, combined with a good quality of life, Oklahoma City topped real estate rankings yet again. Furthermore, WalletHub named Oklahoma City as the best large city to start a business, a key indicator for economic, population and housing growth. Florida served as the centerpiece for flipping houses. As home values in the state rose by 7.5 percent in just one year, Ocala’s values remained 30 percent below peak prices. Ocala, a small city located in Northern Florida, accounted for eight percent of all sales. For real estate investors, Ocala generated a 73.9 percent return on investment (ROI). Memphis has all the traits to be very attractive for homebuyers and house flippers. In 2017, it ranked number one in terms of home flipping volume and ninth in terms of flipping returns. The Blues City had 20 percent more homes flipped in 2015 than in 2005. Those home flips accounted for 10.6 percent of all home sales, while return on investment averaged at 54.8 percent. Tampa Bay has become a hotbed for millennial homebuyers. The area, which saw a 65 percent surge in homes purchased by millennials since 2013-2014, became a wonderland for house flippers. Home flips in the metro area accounted for 7.4 percent of all home sales, delivering a 57.2 percent return on investment for investors. Home prices in Tampa appreciated by 5.2 percent while the median home price was down to $141,000—down from $210,000 in 2006. RealtyTrac ranked Tampa fourth for flipping volume and sixth for flipping returns nationally. As the poster child of the foreclosure crisis during the Great Recession, Detroit has become a safe-haven for real estate flipping. Home prices in Detroit were 20 percent or more below peak values, while home values continued to appreciate by 10 percent annually. According to RealtyTrac, approximately 6.5 percent of all sales in Detroit were flips during the first quarter of 2015 and investors were making an average of 58.3 percent return on investment. In addition, more than half the homes flipped sold for between $100,000 and $300,000. Lastly, due to a consistent decreasing unemployment rate, the University of Michigan predicted strong job growth in the coming years. The allure of Miami’s real estate sector is indisputable. The metro area of Miami had the most homes flipped of any market nationwide, with 10,658 homes flipped in 2015—representing 8.6 percent of all Miami-area sales. Miami house flipping activity increased from 4.7 percent of all sales to 6.4 percent, ranking third in terms of flipping volume, according to RealtyTrac. In addition, the market median price for Miami significantly dropped, falling to $283,000 in 2015 compared to its peak of $373,000 in 2007, making the Magic City a very opportunistic area for house flippers. It wasn’t long ago that the worst part of the recession forced many homeowners into foreclosure. There simply wasn’t enough equity to keep properties afloat and homeowners were forced to sell or face foreclosure. Nonetheless, the resulting economic environment made it possible for real estate investors to thrive in 2015 and 2016. Conditions of the downturn made real estate investing a lucrative empire. However, the recent economic expansion is well documented. The housing sector made a comeback and many markets saw prices return to pre-recession levels. That said, was real estate investing still considered profitable at the time? According to CNBC, it was, as house flippers saw record returns on their investments. There was no denying the lack of investor activity resulting from home price appreciation. 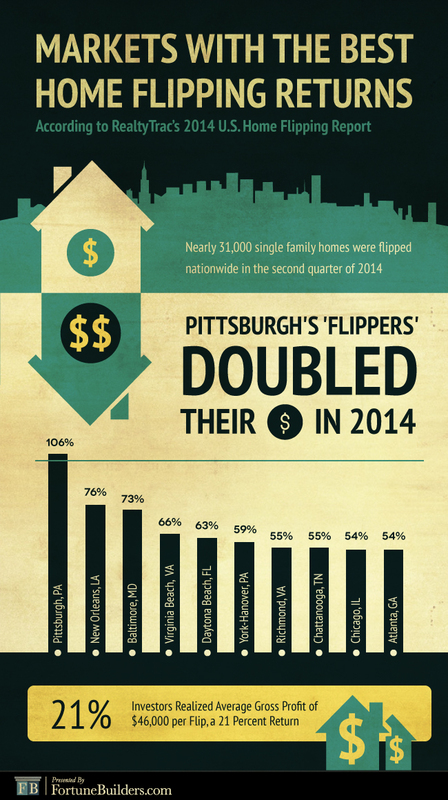 According to RealtyTrac, four percent of home sales in the first quarter of 2014 were flips. That equated to just 17,309 flips, which was the lowest volume since the middle of 2011. While the number of those actively investing seemed to dip slightly, profits surely did not. Real estate investors were actually seeing record returns in many cities at the time. At the beginning of this article, we talked about how picking the most profitable market can be tricky, especially when the list of top market trends changes every year. That’s why building wealth as an investor often requires spending a lot of time conducting meticulous research. The best places to flip houses are not always obvious and there are various factors to consider. Additionally, some markets that were at one point excellent places to flip houses eventually become concentrated with competition, making them no longer desirable. Because of this, the smartest investors take the time to discover up-and-coming areas to flip houses rather than jumping on an existing bandwagon. Markets with a low or decreasing unemployment rates coupled with significant job growth should be highly considered. These factors could be spurred by a burgeoning industry or the arrival of a notable company in the area; both of which are signs of an improving economy that will spur home-buying activity as well as eventual property value appreciation. It is also important to note whether or not there are nice neighborhoods in the area where people will want to live. Lastly, it is crucial to ensure that there is enough available inventory in the market. Once these factors have been satisfied, you can zero in on financial factors, such as median purchase prices and the average cost of labor and remodeling in the area. These numbers will help investors calculate estimates for after repair values (ARVs) and profit margins. It is important to mind your due diligence in this aspect, as strong economic indicators do not automatically equate to favorable conditions for house flippers. 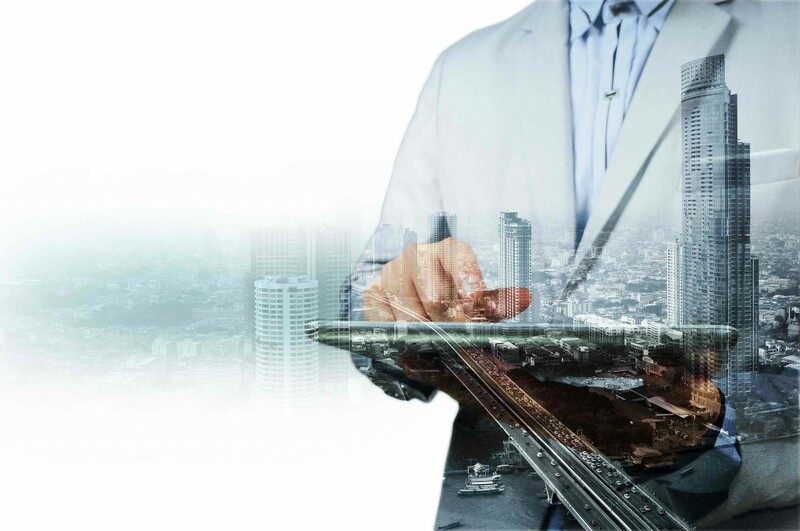 However, once you’ve identified a market that promises strong economic growth and favorable real estate profit margins, you can feel confident about launching your property search. House flipping trends change every year, but the importance of market location remains consistent. The most successful investors get ahead of the game by conducting careful market research, and not following the crowds. In 2018, the hottest house flipping markets were centered in the midwest and southwest. It will be interesting to see if these popular cities will continue to offer investors strong profit margins for another year or if these markets will be deemed too concentrated. Only time will tell, but those able to make educated predictions should be sure to take swift action.